SyFy officially confirmed last night it would be developing a prequel series based on Superman, with David S. Goyer (Man of Steel, Nolan’s Batman series) and Ian Goldberg (Once Upon a Time) writing the pilot. 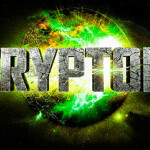 Smallville already exists, so it looks like SyFy is taking a bigger step back by giving folks a glimpse at Krypton. DC shows are definitely a trend that won’t seem to die down soon.